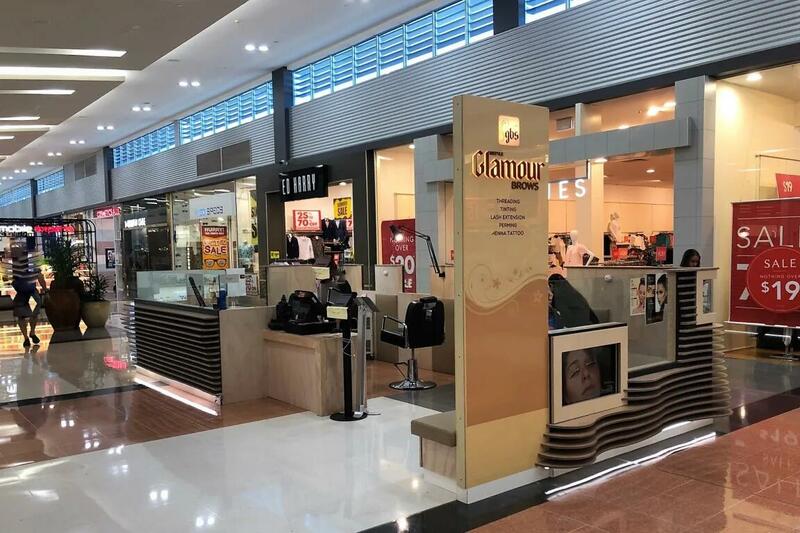 Same as Wink brow bar and Kurves brow bar, Glamour brow bar also a franchise brand in brow threading and salon beauty area. 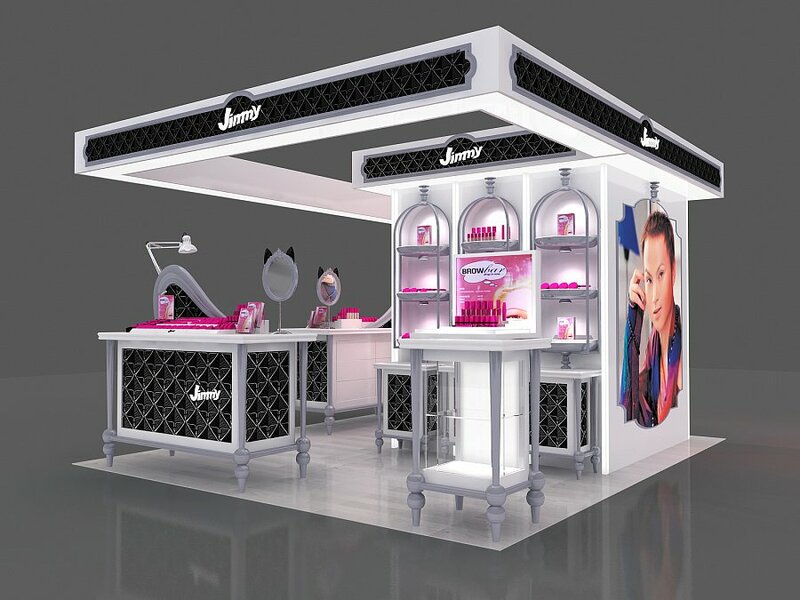 As we know every franchise brand will have its unique style.Compared with other brands, the design of Glamour brow bar really very creative. 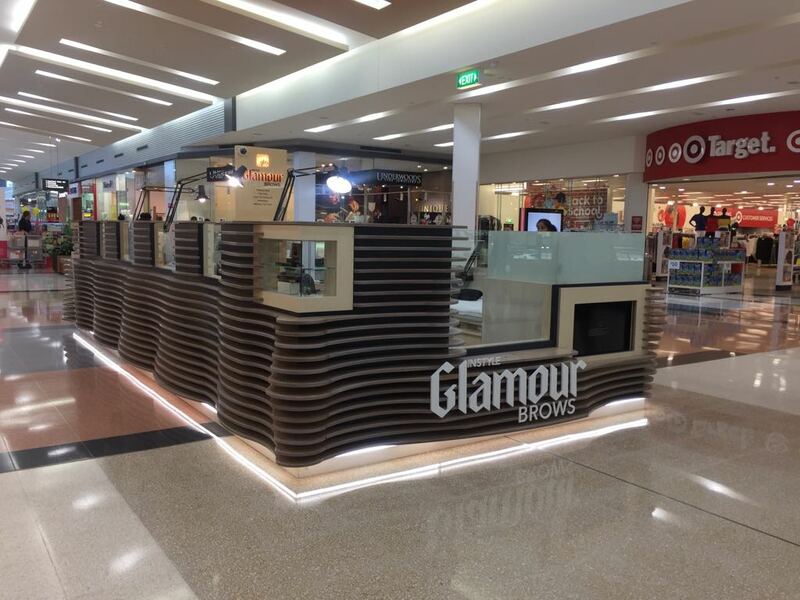 Can’t help seeing how Glamour brow bar kiosk looks like? 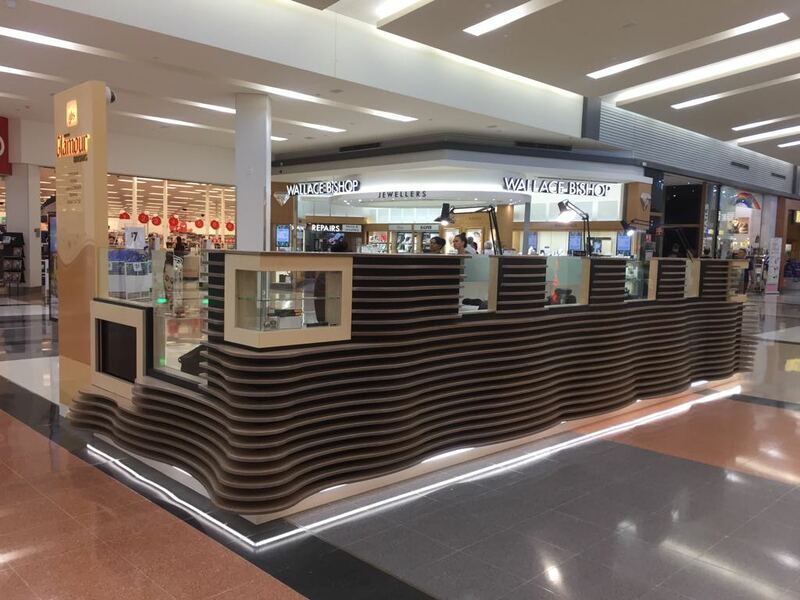 Follow me, today I wanna share you a nice Glamour brow bar kiosk used in Sydney DFO mall. when you first eye see the brow bar kiosk, how do you feel? when I saw it the first time, I feel it is very natural, the surface shape is very amazing and unique. 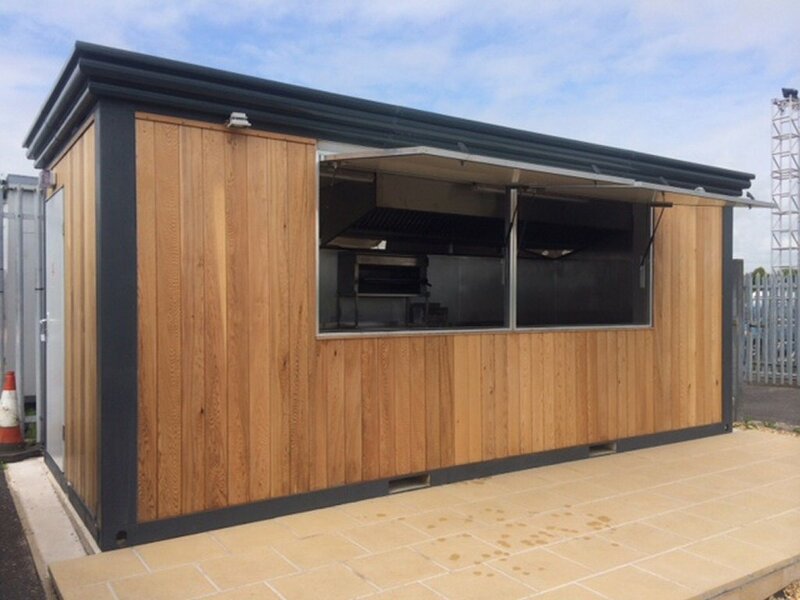 the kiosk all outside is wavy shape, the wavy shape is used high-quality nature plywood made. workmanship is very complicated but seems very unique and nice. 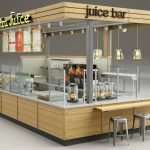 because all kiosk used nature color plywood, so looks very natural and high-end. 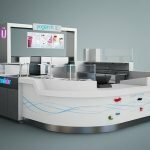 then see the kiosk inside, when entering the kiosk, right side is a sofa for customers to wait, the left side is cash counter and waxing bed, inside are four brow stations. 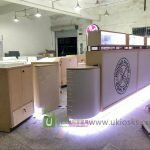 Unique kiosk is a factory specialize in making customized mall kiosks for more than 10 years. 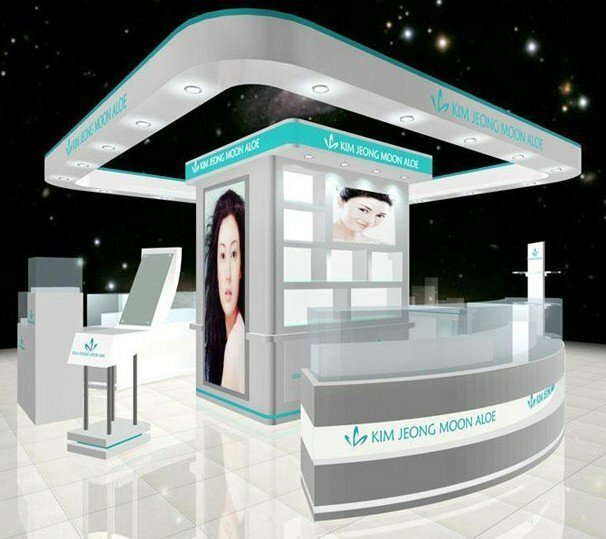 Salon kiosk is one of our main products. we already cooperated with many famous brow bar brand, like Wink brow bar in UK, Kurves brow bar in Canada, Exquisite brow bar, Elegance brow bar in Australia etc. 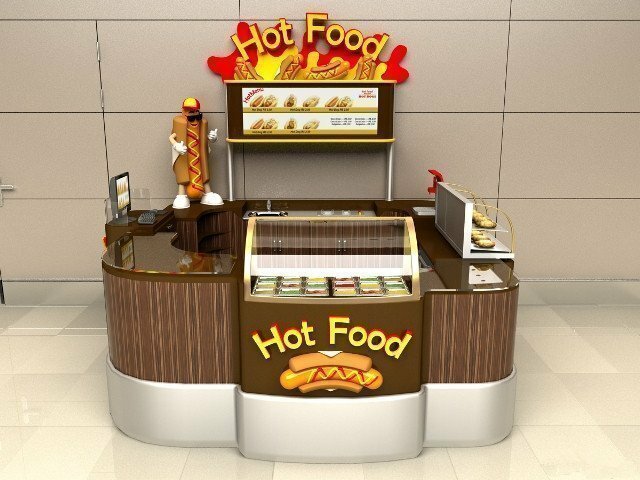 If you are interested in open a nice brow bar kiosk in mall,come here is really a good choice.